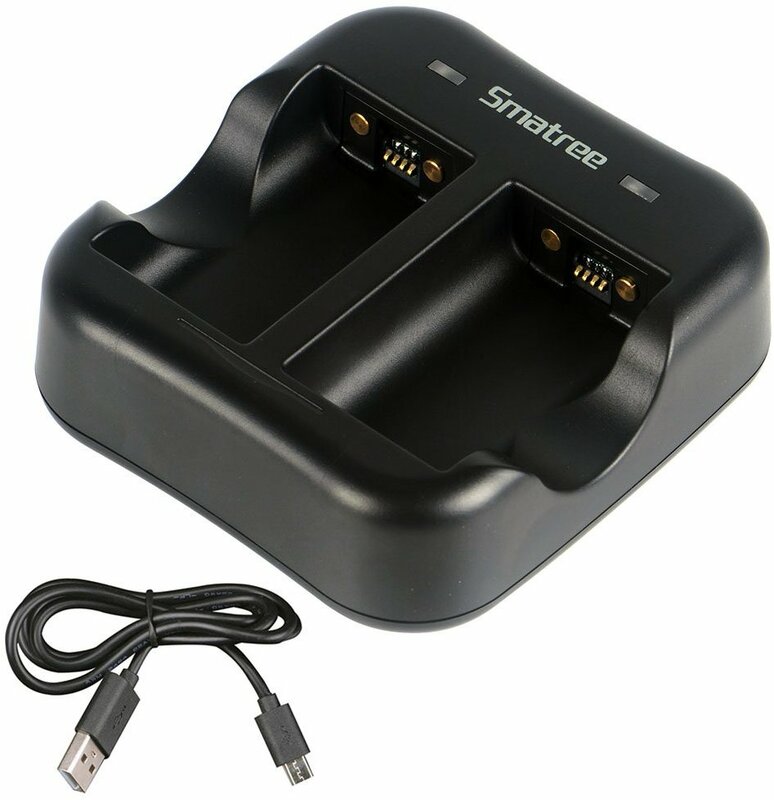 -Smatree Intelligent dual-channel charger is designed with overcharge protection, will not damage the batteries while overnight charging and keep safety. 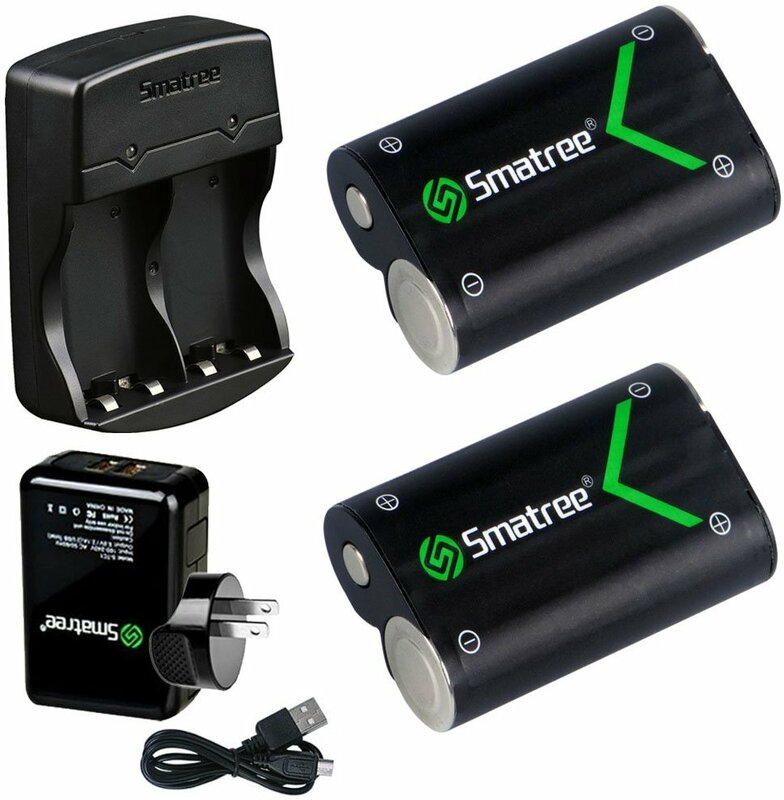 -Can fully charge 2pcs Smatree NI-MH batteries in 6-7 hours WITHOUT interruption (DC Input >5V/1A)..
-Over-voltage protection: When the battery reaches the assigned voltage (The voltage when the battery is fully charged), charger’s indicator light will turn green and stop charging. Overcharging time protection: The charger comes with timer, and could calculate charging time automatically to make sure charging time within 7 hours. When charging time exceeds 7 hours, charger’s indicator light will turn green (stop charging) to protect batteries from overcharge. ( If the charge is interrupted, the charging time will be re-calculated ). Running Time Longer Than OEM Battery. 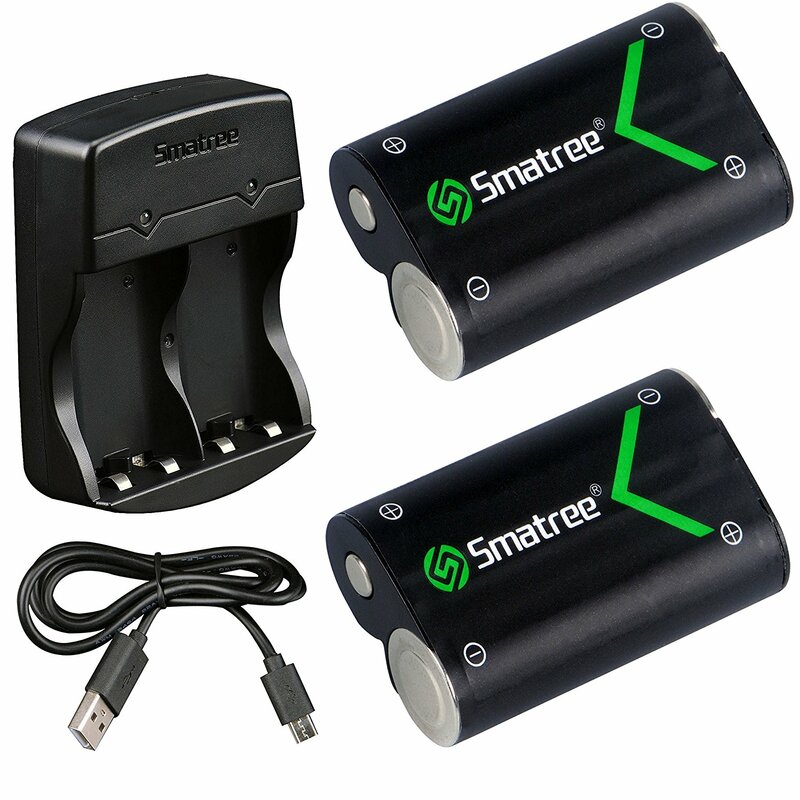 Dual-Channel Charger Charges 2 Batteries to 100% in about 6-7 hours WITHOUT interruption (DC Input >5V/1A). Over-voltage protection: When the battery reaches the assigned voltage (The voltage when the battery is fully charged), charger’s indicator light will turn green and stop charging.